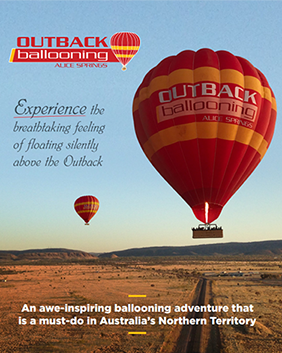 Outback Ballooning conducts Charter Balloon Flights, Aerial Work and Flight Training under a CASA issued Air Operators Certificate (AOC) – C419915. – just like any airline. Pilots flying commercially for Outback Ballooning hold Commercial Balloon Pilots License, current Aviation Medical, hold Aviation Security Clearance and have regular check flights. They are endorsed to fly some of the largest commercial balloons in Australia. Outback Ballooning carries compulsory Air Carriers Liability Insurance, under the Air Carriers Liability Act. Hot Air Balloons are registered Aircraft and are maintained just like any other aircraft. Outback Ballooning operates a CASA Approved Maintenance Organisation, qualified staff to perform hot air balloon maintenance, allowing aircraft to be maintained to the highest standards in accordance with CASA rules and regulations. CASA frequently does operational Audits ensure compliance and high standards are maintained. We are continually looking to improve our service and standards at Outback Ballooning. There are continual training and development programs and safety is our highest priority.